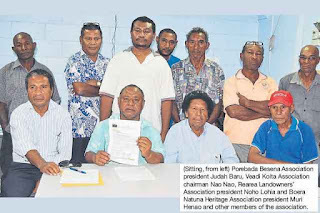 LANDOWNERS living along the corridors of PNG LNG pipeline on Portion 152 in Central are frustrated by the Government’s reluctance to pay their outstanding royalty and equity benefits. 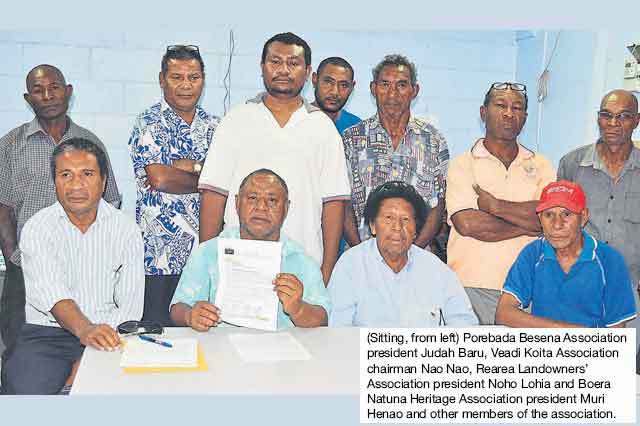 In a press conference last week in Port Moresby, the LNG Plant Landowners’ Association (LPLA) chairman Chief Nao Nao said they had been given the run-around by the government and its stakeholders for more than 39 months since the first shipment. Judah Baru (Porebada Besena Association), Muri Henao (Boera Natuna Heritage Association) and Noho Lohia (Rearea Landowners Association) supported the sentiment. “Our three petitions were made and received at different times between August and April 2017 but nothing concrete has been forthcoming,” Nao said. He said the association had held meetings with former Petroleum and Gas Minister Nixon Duban, department secretary Kepsey Puiye and Mineral Resources Development Company managing director Augustine Mano but had not received any benefits. The K3.5 million mobilisation fund requested by the landowners association on April 22 to be released on May 19. Nao said despite Lupari’s letter, the department failed to facilitate any payments.